We had a long weekend over here with school canceled on Friday because of an impending ice storm that never really amounted to much, and MLK Day on Monday. During that time, I decided I was over my "winter" porch, which was basically leftovers from Christmas minus any red elements. The fresh greenery and trimmings were really turning brown and I was ready to take down the green wreath on the door. 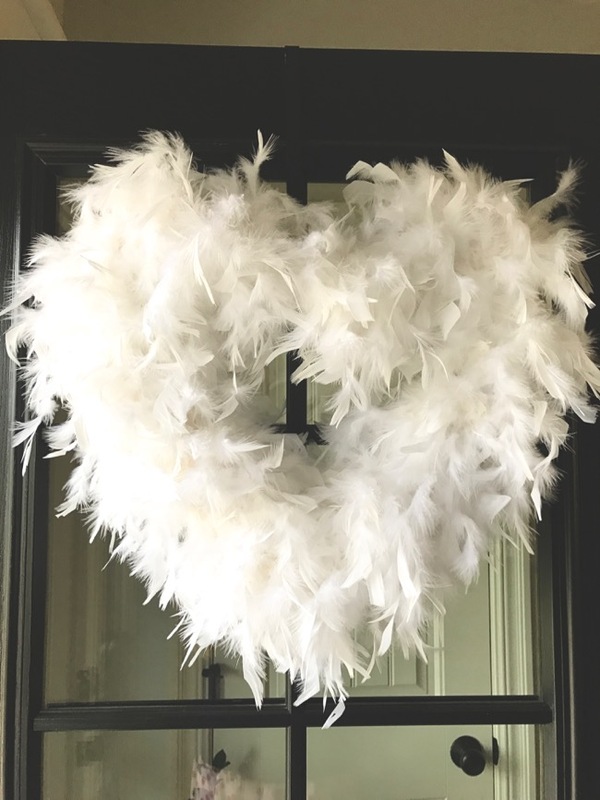 I was also ready for a new Valentine wreath, so cue a trip to Joanne Fabrics for some white feather boas! Happy New Year! It's hard to believe January is almost half way over! I don't love winter, so January and February can just move right along if you ask me! Steve had a work trip planned to New York in December, so we decided it was a good time for me to tag along again! 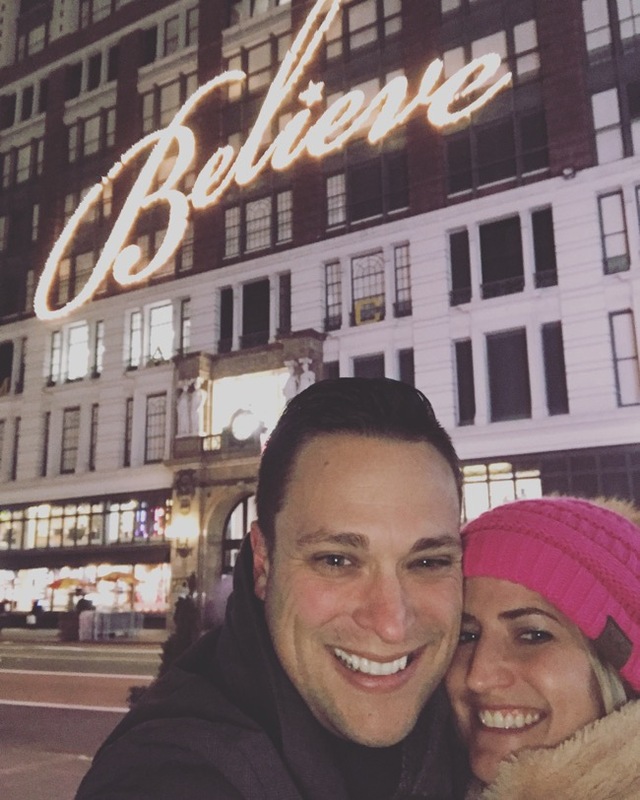 I've been to NYC with him in the summer, but this was my first time in the winter and at Christmastime. This should be on everyone's bucket list - there's something so magical about a big city during the holidays! We made it to NYC, but not before some drama! We had a really bad ice storm overnight the night before we were supposed to leave. We hopped in the car around 4:45 to head to the airport, which is 45 minutes from our house, and made it about 10 minutes before realizing we were in for some super scary white-knuckle driving. Quite frankly no one should have been out, but we had a plane to catch! At 5:00am, we were creeping along, slid down a small incline and rammed into a cop car that had just arrived at that same intersection because of two other accidents. Needless to say, the cop was very understanding. It was like an ice rink getting to and from the cars. Our car was badly damaged and we missed our flight. We were barely able to drive our car home, and then tried to get out on a noon flight. We quickly realized the roads were not much better and turned back around. Finally, we left on a 4pm flight the following day and made it just in time to check in and walk around near our hotel. We stayed in mid-town, right near the famous Macy's.